I also want to let you know that since I was in Texas last week I have not yet visited the X links. I will be catching up over the next week...but I have NOT forgotten you. YESTERDAY I YELLED to call my dogs but all they did was YIPE! I YELLED, "Come YONDER!" but they would not YIELD! I kept on YEARNING for them to come, YET I understood...my dogs apparently do not like it when I YELL! YELLOW flowers and lots of hugs! yippi yeah, one more not only yellow but yellowgreen :) enjoy your day! Yikes! I can't believe we're down to Y...I'm already yearning for more. The end of the alphabet is rushing toward us once again! If you need me give me a yell. 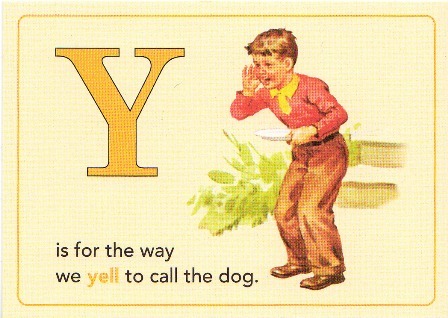 Y oh Y is Y such a hard word? Hmmm, I missed linking up. Bah-hum-bug! I got my post up last week, but your linky wasn't up and then I forgot to come back to add mine. That being said, I'm still gonna visit the other students. I just didn't want you or anyone else think I hadn't meant to join in on the letter 'Y' assignment. Thanks for hosting, as always!